Uganda. The Pearl of Africa. Will I ever see that beautiful country again? I don't know. But I do know that it will always have a special place in my heart. 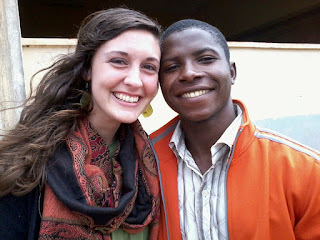 I finished up my third trip to Uganda last week, May 23, 2012. Many people would thank me for sacrificing my life in America, where we say everything is controlled by the tip of a finger, and coming to Uganda to live life. If you think about it, it's true. Most of our washing machines and dishwashers have buttons. Many of us drive automatic cars. We cook on stoves and bake in ovens that don't need a wood or charcoal fire for heat. Even in our "bush" (villages deep in the jungle) we have electricity and running water in our homes and driver on great roads. One morning on the veranda right before I left, I said with tears in my eyes, "You know, people keep thanking me for this sacrifice I've made. But the secret is, I've made no sacrifice. I would much rather wash clothes by hand than use a machine, because of everything else that I have gained by being in this country." Uganda is a rich country. Not because of the fertile earth, the rivers, or the oil, but because of the total trust and dependence people have in God. For many people in Uganda God is the only One they have. Many of them aren't even guaranteed one meal a day, so they trust God. Diseases, wounds, sickness, even simple cuts can be a huge risk because of lack of funds to get medical treatment, so they trust God. No parents, they trust God. No job, they trust God. No home, they trust God. These people do experience very real heartache through these situations, but most of them know that surrendering your all to God and trusting Him will carry you through. They know that living for Him is what life is all about. Paul and Pam Hunter have known me since I was a baby, only three months old. I first went to live with them in Uganda when I was sixteen for almost three months. My second trip was last summer for seven weeks along with two friends. This last time was going to be for five months but God asked me to come back to the Unites States early because He has other things for me to do right now. I ended my third trip at exactly twelve weeks. Paul and Pam, who I have come to call Momm and Papa, have become my spiritual parents. They provided a safe environment for me in Jinja, Uganda, but really anywhere they are, for learning, growing, and changing. They have mentored me through some of the most critical years of my life. The years where I have been learning to be a woman. Momm and Papa haven't mentored me by using programs or by treating me like a project where they have to accomplish something in me. They've chosen to have a relationship with me. By living life with them, they've been able to pour into me day by day. Reading and relating together in the mornings on the veranda. Long bedroom talks in the evening or just anytime of the day. Going into town with Papa and just being with him has he relates with literally almost, almost every person he sees (and I'm not exaggerating!!) Working around the house alongside Momm as she takes care of people day in and day out. I have learned so much just by watching the two of them live life. Living with Momm and Papa and surrounded by people who have surrendered their lives to Christ has taught me so much. I told Momm not long before I left, "I don't think I realize what a privilege it has been for me to come to Uganda three times in the last two and a half years. I know it's no ordinary thing, especially for someone my age. But I don't think I fully realize the impact these experiences have had on me and how they have helped prepare me for the rest of my life." 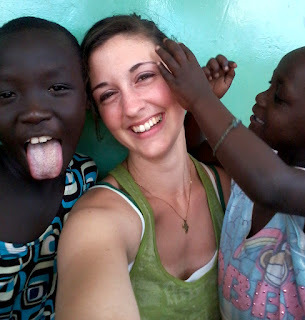 I can't imagine where my life would be without the things God has taught me through being in Uganda. The relationships I have with people there are a treasure. The life lessons I have learned have equipped me for the rest of my life. The trust and surrender to God I've witnessed in people have become my own, rooted deep in my heart. 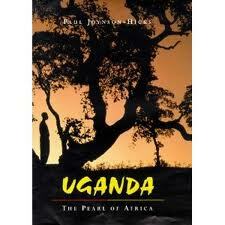 Even if I never have a chance to go back, I thank God for the gift of allowing me to live in Uganda. For opening my eyes to see Him in new ways. For teaching me to love deeper, trust greater, and lean harder. Thank you Momm and Papa for allowing me to live life with you. For putting up with me tagging along after you all these years :) I will never forget the gift you both have given to me. Thank you for staying open to the Father. Because you have yielded to Him and said yes to whatever He wants to do in you, with you, and through you, many others, including myself have benefited from your obedience. I love you both so much!! Hannah Smith is our guest blogger on this post. 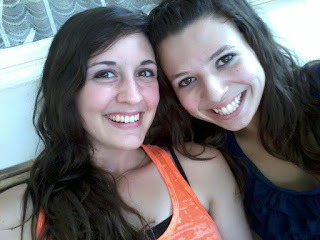 She is a delightful young lady who love Jesus and wants to radically follow Him ... wherever, whatever, however. If you or someone you know can imagine benefiting from a period of mentoring with the Hunters in Africa please contact Paul at nextgenminug@gmail.com or Pam at pamjhunter@gmail.com.